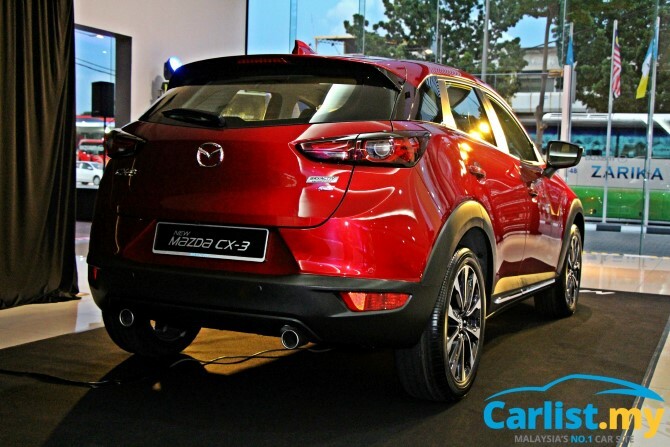 After nearly three years on the market, the Mazda CX-3 has been given a mid-life makeover. 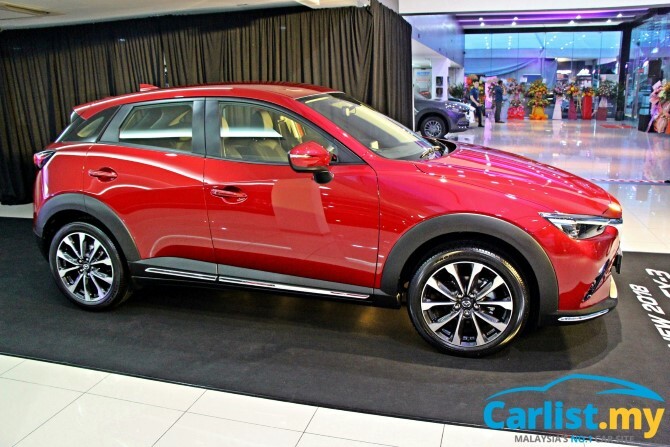 At a glance, the facelifted CX-3 looks identical to the previous model but that’s because Mazda follows a very European approach in avoiding radical stylistic changes to prioritize tangible improvements beyond the superficial, improvements that deliver real value. Differentiating the new CX-3 from the pre-facelift model is like playing a game of spot the difference. The new grille has thicker double chrome slats. The front bumpers have a new design for the lower half, the LED tail lamps are new, as are the wheels (still 18-inch size). 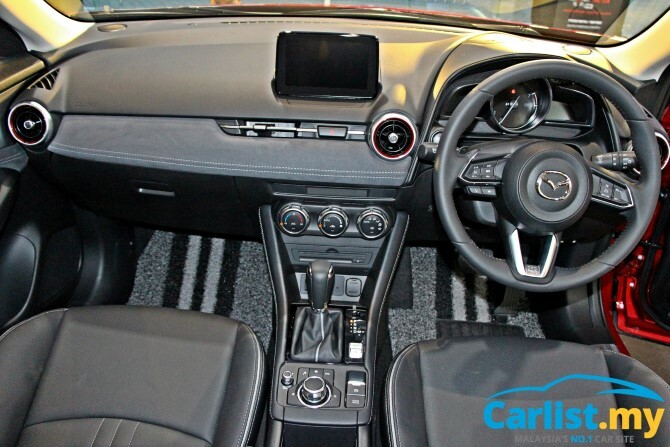 Inside is where the new CX-3 sees the biggest improvements. In our review of the pre-facelift CX-3, we praised it for its superior driving dynamics but gave the cabin a thumbs down vote. Lack of storage space and below average refinement on longer distance journeys are its weaknesses but we are glad that Mazda took notice. 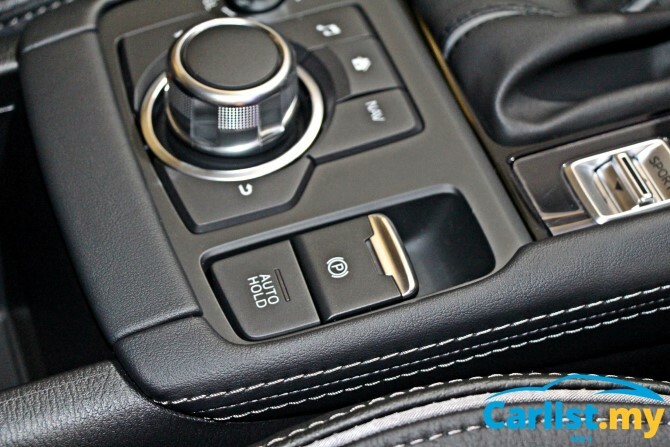 Mazda has since removed the handbrake, replacing it with a button-operated electric parking brake. 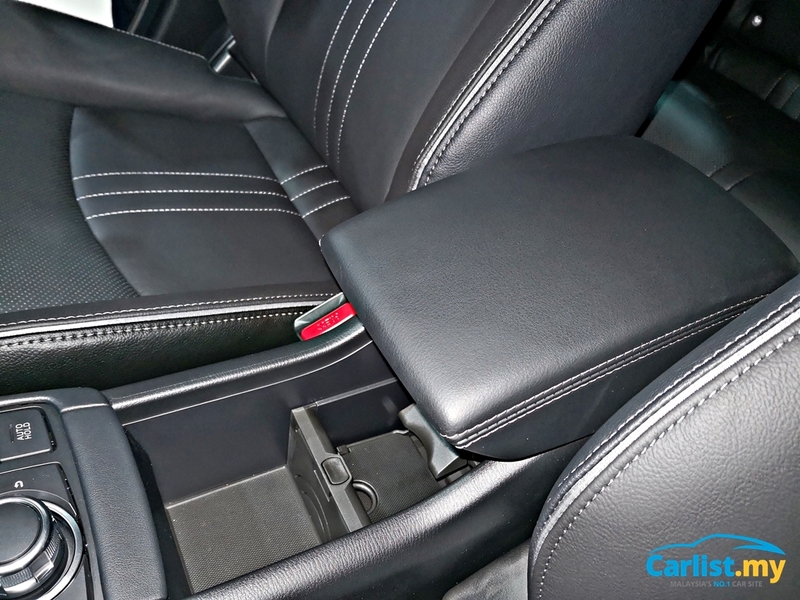 This frees up space in the centre console, allowing designers to add a centre console box and an arm rest. The windows and windscreens are now thicker, as are the door panels and headliner seals.  The result is a quieter cabin. The suspension and steering have also been retuned for better comfort, insulating occupants from vibrations while maintaining Mazda’s famed Jinba Ittai character. 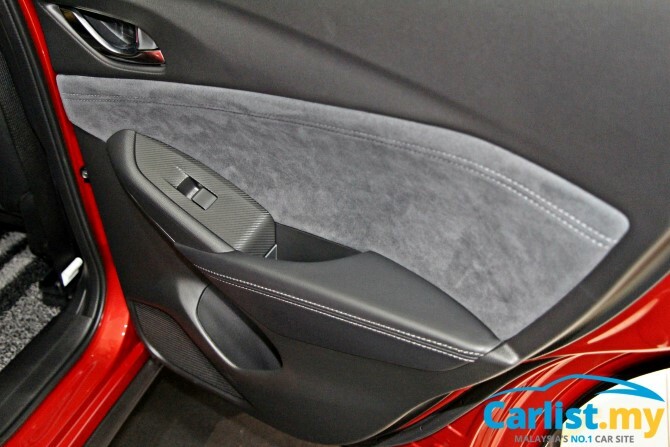 Other notable changes include a new dashboard panel and door panels, which now features a suede-like material over it, air-conditioning vents with red accents, the front seats now provide better support, and the rear seats now have a centre arm rest with cup holders. 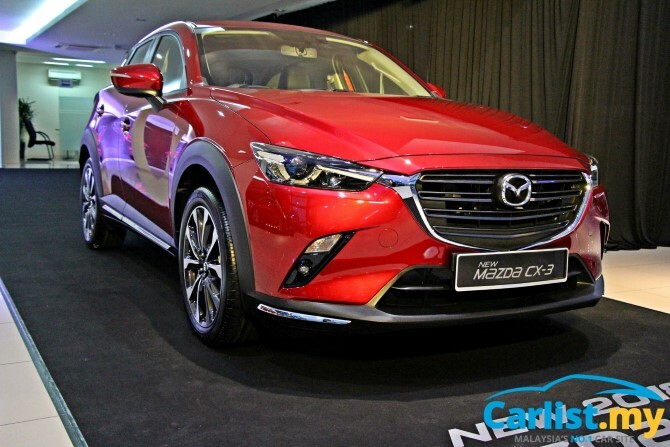 In terms of safety, the new CX-3 now adds Rear Cross Traffic Alert (RCTA) and Blind Spot Monitor (BSM). Mechanically, the powertrain remains unchanged. A 2.0-litre naturally aspirated SkyActiv-G engine is paired with a 6-speed torque converter automatic transmission driving the front wheels. Despite all the upgrades, the new CX-3 is marginally cheaper than before, even after taking into account that GST/SST is not included. 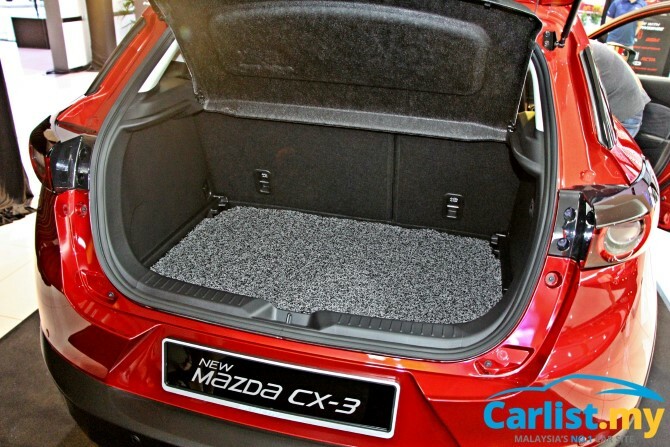 The new CX-3 now sells for RM 123,788 without insurance, or about RM 3,000 less than before. Distributor Bermaz Motor also confirmed that buyers who place their booking between now until 31-August will be exempted from paying the upcoming 10 percent SST, even if their vehicle is delivered on or after 1-September. 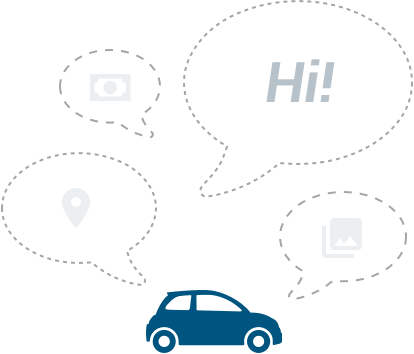 The distinction is important because although the government has yet to clarify the exact point along the supply chain where SST will be charged, most car companies are anticipating that cars delivered to customers on or after 1-September will be charged with SST, irrespective of when they place their orders. In short, so long as you buy your Mazda before 31-August, Mazda will absorb the SST charges for you even if your Mazda is delivered on or after 1-September.